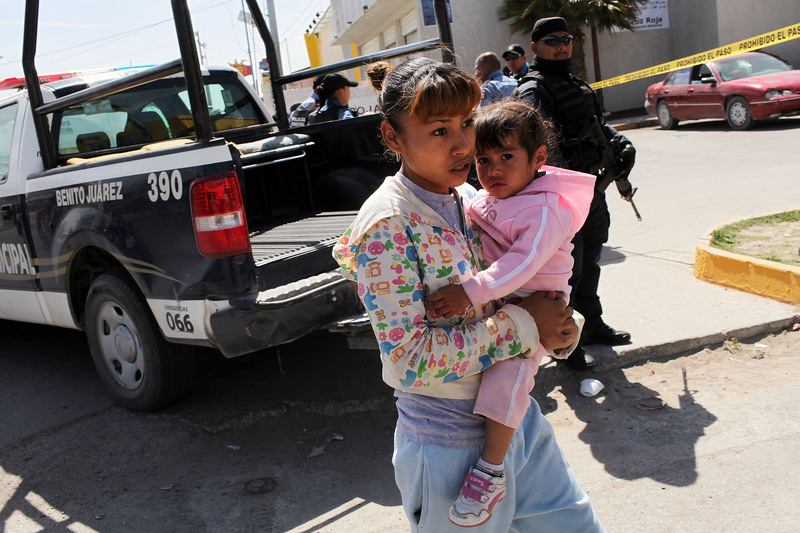 We've all heard about the drug wars in Mexico, but what we don't often hear is how that conflict is affecting women. The struggle in Michoacán, Mexico continues between the self-defense groups, the Knights Templar drug cartel, and the Mexican army and police. Media reporting from Mexico have portrayed the various sides of the issue, but there is less coverage (at least in English) about the women in Michoacán. Journalist Anaiz Zamora Márquez reports that women in the region of Tierra Caliente are a vulnerable group. They don’t have much protection from organized crime and drug cartels, which have flooded the region since 2002. Since then, Michoacán women have been targeted as objects of exchange and victims of gender violence by drug cartels. According to Zamora "it looks like neither the army nor the police have protected the women from aggressions." Delia Villalobos, activist and Human Rights spokesperson for indigenous women in Michoacán sustained that: “The situation is difficult to bare for all the population, but specially for the women who are in the middle of all these confrontations," Villalobos explained. Because of the confrontations between the warring groups, most commerce activity and even hospitals have been temporarily closed. This is affecting the economy in the region and the income of women (called jornaleras) who work in low-wage jobs in the nearby fields, and cannot go to work. The municipalities surrounding the state of Guerrero are involved in the conflict but are also the source of work and income to thousands of women. Some were displaced from their original communities due to poverty, and migrated to areas near Guerrero to work. Their vulnerability to violence is high: although many women support their partners or have decided to incorporate to the self-defense groups, those who migrated from other states live alone, and often don't have as much support from the community. Circe López is the director of the organization "Humans Without Violence" and works to prevent violence against women living in Tierra Caliente. Lopez told Cimac Noticias that many female laborers have been kidnapped and raped due to organized crime. But other women decide to defend themselves, Lopez mentioned, "some decided to take arms and assured they would kill whoever wanted to hurt them or their daughters; they know that going to the police is a waste of time." Lopez also notes that Tierra Caliente is currently blocked from communication, so it is difficult to enter and leave the area, "which is very dangerous because there are pregnant women in these communities who might need medical attention, and we are not sure who will provide it." This past weekend, Mexican security forces arrested 38 members of the Knights Templar drug cartel as part of an operation to restore order in Michoacán state. The vigilantes accuse the government of not doing enough to protect locals from extortion and violence so many refuse to disarm.